Belfast-born actor Stephen Rea explores the real impact of Brexit and the uncertainty of the future of the Irish border in a short film written by Clare Dwyer Hogg. On January 3, 2009 Satoshi Nakamoto launched the Bitcoin network by creating the genesis block. "Expand the tax reduction for new growth engine investment and ease requirements for new technology support, including the blockchain technology investment support.."
"I am pleased to advise this Honourable House and the public of the Initial Coin Offering Regulations that have been published to supplement the Companies and Limited Liability Company (Initial Coin Offering) Amendment Act 2018." Tokenomics... aka the tokenisation of everything, well lots of things now and more things later. "Paper money eventually returns to its intrinsic value -- zero." Note: many ICOs have opted for the 'Utility token' descriptive term in the belief that this may magically prevent their classification as a security sometime in the future. Whilst the crypto community could be described as being resistant to KYC there are certain advantages in certain applications. For example with regard to Reward or Service tokens, making the assumption that the KYC element is completed at the initial stage (where appropriate) any subsequent engagement will not require the need for the somewhat boring lifelong repetition of ones identity that is the hallmark of government inefficiency everywhere. On the subject of efficiency a somewhat simplistic example could be if one obtained Protocol tokens in a developing Decentralized Application (DAPP) and that DAPP in turn led to or produced a utility in the style of Zapier; so a Protocol Token to a functional DAPP to a Zap all via an autonomous ERC20 Smart Contract - a fully self contained entity, a DAO child, as it were. "... such protocol is fully transparent and by this the “promise of functionality” of the protocol can be completely validated by an actual or potential token holder. Considering this an intrinsic token does not require any trust or faith ergo it does require no law ensuring such behavior." the evaluation of proposal merits"
Alas we have gone away from the cooperative / community type structure envisaged by The DAO to a situation where in many cases Token holders do not obtain any rights other than the ability to (possibly) profit from appreciation in the value of their tokens. Nonetheless there are a number of ICO's where Token holders will be entitled to a share of any possible profits downstream. ..further subcategorised into (a) securitised and (b) utility tokens. ‘Securitised tokens’ are defined as those embedding either underlying assets (akin to commodities) or rights (e.g. quasi-equity rights) and effectively refer to those tokens that qualify as financial instruments (for further details please see Section 4 of this Discussion Paper). ‘Utility tokens’ are further defined as those providing either platform/application utility rights or protocol access rights, without any underlying. 2.3.3 a unit in a collective investment scheme (“CIS”), where it represents a right or interest in a CIS, or an option to acquire a right or interest in a CIS. Please note that the characteristics of a share or a debenture described in paragraph 2.3.1 or 2.3.2 respectively are not exhaustive. "Depending on how they are structured, ICOs may fall outside of the scope of the existing rules and hence outside of the regulated space. However, where the coins or tokens qualify as financial instruments it is likely that the firms involved in ICOs conduct regulated investment activities, such as placing, dealing in or advising on financial instruments or managing or marketing collective investment schemes. Moreover, they may be involved in offering transferable securities to the public." The key EU rules listed below are then likely to apply. This statement is accompanied by "ESMA alerts investors to the high risks of Initial Coin Offerings (ICOs)" - although they do not provide any categorisation of the emerging Token class per se. "In December 2017, the Central Bank of Ireland issued a warning to consumers and investors in relation to investing in newly issued virtual currencies via Initial Coin Offerings. This announcement reflected an earlier warning that was released by the European Banking Authority in 2013. " To provide guidance or set forth policy in relation to virtual currencies trading, purchasing, selling, or raising funds via Initial Coin Offerings (ICO). The Blockchain Policy Initiative Report was a community-driven refined groundwork to help eliminate the regulatory uncertainty around distributed ledger technology. With regard to the genesis of BPIR I'd suggest readers have a look at Neufund, a Berlin-based blockchain startup building a community-owned investment fund. * Tokens have been described as Intrinsic and/or Protocol Tokens in the Blockchain Policy Initiative Report, Tokens as Novel Asset Class (July 2017). In the BPIR Doc they are described as representing rights or assets on the blockchain. This is somewhat confusing as it would seem that to split these into separate categories helps make a clear delineation between the two types. **The ERC20 technical standard was proposed on November 19, 2015 by Fabian Vogelsteller. The establishment of the Malta Digital Innovation Authority; the Framework for the Certification of Distributed Ledger Technology Platforms and Related Service Providers; and a Virtual Currency Act. 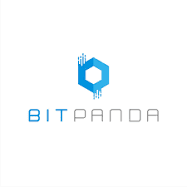 Bitpanda, the well respected Austrian based digital currency trading platform have announced Pantos, the first Multi-Blockchain Token system. "It is an open-source, open-innovation driven research project, bringing all major blockchain platforms closer together, which will set new standards for decentralised cross-chain token transfers." Pantos is a collaboration between the Technical University of Vienna and Bitpanda. An important output of the collaboration will be their Token Atomic Swap Technology (TAST). The project output will be released as an open-source technology.